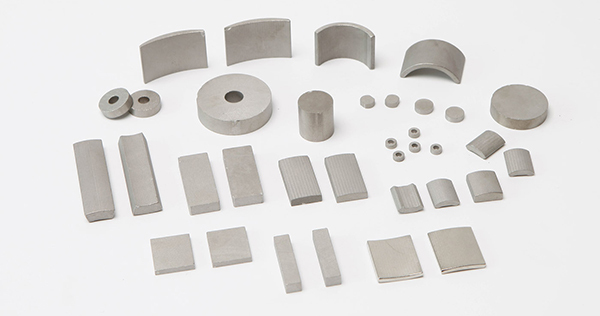 As part of the rare earth group of permanent magnets, samarium cobalt (SmCo) magnets typically fall into two families of materials. They include rare earth Sm1Co5 and Sm2Co17 and are referred to as 1:5 and 2:17 materials. There are three different manufacturing processes: sintered SmCo magnet, bonded SmCo magnet, and injection moulding SmCo magnet. 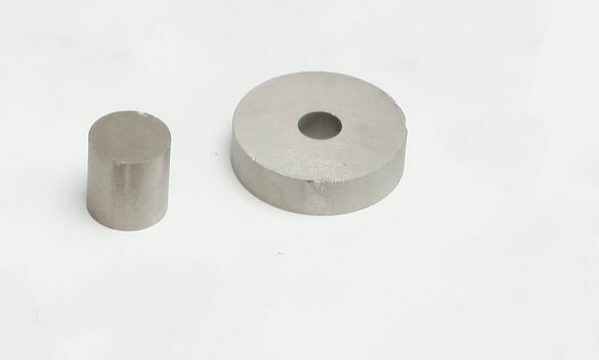 SmCo magnet is high performance, low temperature coefficient permanent made of samarium and cobalt and other rare-earth elements. Its biggest advantage is high working temperature-300 degree centigrade. It need to be coated because it is difficult to be eroded and oxidized. SmCo magnet is widely used in motor, watch, transducers, instruments, positional detector, generator, radar, etc.